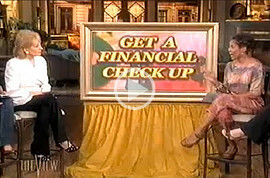 Watch and listen as Valerie Coleman Morris gives the tips that can help you put your financial house in order. With the aid of long time news anchor Belva Davis, peering in to query, we get the questions asked of Valerie that we ourselves would like to find out. Take advantage of this knowledge and wisdom from an expert whose CNN financial reporting career spans the most volatile moments of peaks and dips in global monetary, financial and fiscal policy direction. A close up witness of the political changes impacting not only our lives but her own family’s living conditions as well. Hear how she’s taken steps to manage, override and guide her family through the financial pit falls facing us all since the tech bubble burst, Wall Street collapsed and the housing market became a living nightmare. 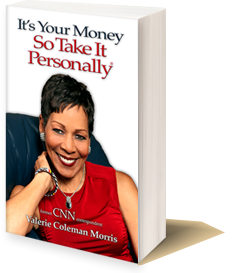 Then, go buy her new book -“It’s Your Money So Take It Personally®” for the details you won’t want to miss.